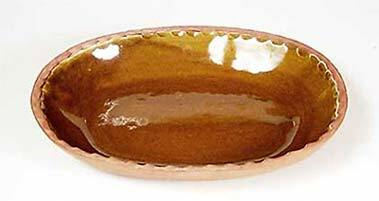 Oval David Leach dish - 11" (279 mm) long, 8½" (215 mm) wide. Late 50s/early 60s. The price is marked on the bottom of this dish - 17s 6d - 87½ pence or US$ 1.36.